What will your kid love? Or better yet, what will make your life easy while keeping your kids happy and healthy? Have your holiday family photos coming up? Don’t know what to wear? Don’t know when to go? Along with being the writer of Mommy Miracles, I’m also a full time photographer for one of my own small businesses, Apples and Cinema. What do we wear? It’s tempting to go with LOUD, colorful prints and patterns when picking outfits for fun family photos, but we promise, your family is already as beautiful and colorful as it is, so we suggest muted colors so that your personalities and beautiful faces pop! When and Where should we go? We usually pick locations that are going to be less crowded, over ones that would be maybe more picturesque. Or, we pick times that we know aren’t going to be as crowded at popular places. Less crowded locations make the session more relaxed for families, especially if the kids aren’t cooperating, and less distracting for the kiddos. We like to leave the location entirely up to your taste, and convenience, but we’ll weigh in if you want suggestions! And as far as the time of day planned, we should absolutely pick the time that you find your kids to be in the best moods. Sometimes even when we pick the best of times for our kiddos, we’re still not catching the best moods. So, we now offer prizes from the prize bags for good behavior. We’ll tell the kiddos that if they listen to mom and dad throughout the session, mom and dad get to decide at the end whether they can pick a prize from our prize bag! It’s usually simple things like costume jewelry, or puzzles, or stickers, or whatever we may think your kiddos are into! And please, know that we have little ones of our own, and totally understand when kids just aren’t into it, so no need at all to stress. If we see the kids just don’t wanna pose, we’ll roll with it and turn the session more into photojournalism and try to catch the action as it happens! Keep everybody involved. After we have the family photo of the whole group, we try to mix and match combinations, by taking pictures of just the kids, just the sisters, just the parents, just a parents with the kids, etc…we try to keep everyone involved the whole time. So, when Family sessions are one of our favorite things to do. 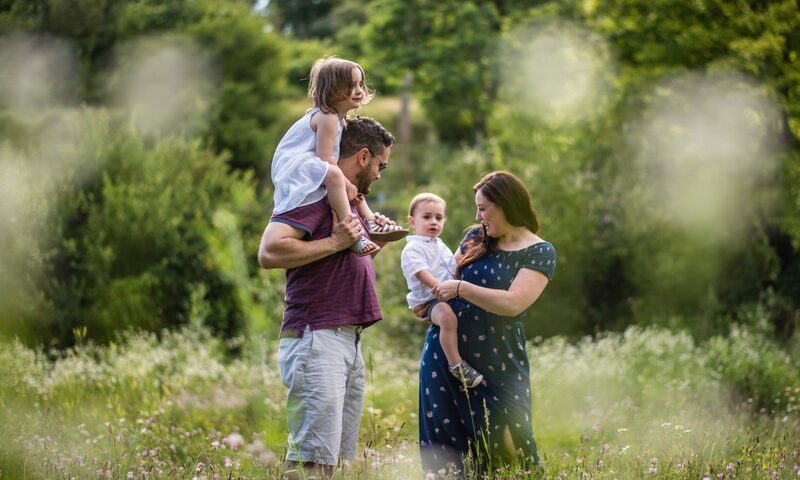 We love playing with the kiddos, and trying to make the family portrait experience into a fun family outing, rather than a forced portrait session. Often parents ask us for tips and tricks on making the session as fruitful as possible, and the kiddos as cooperative as possible, so we figured we’d blog about it! Like what I have to say about this and want to schedule a session with me? Awesome! Just go here! Hold it! 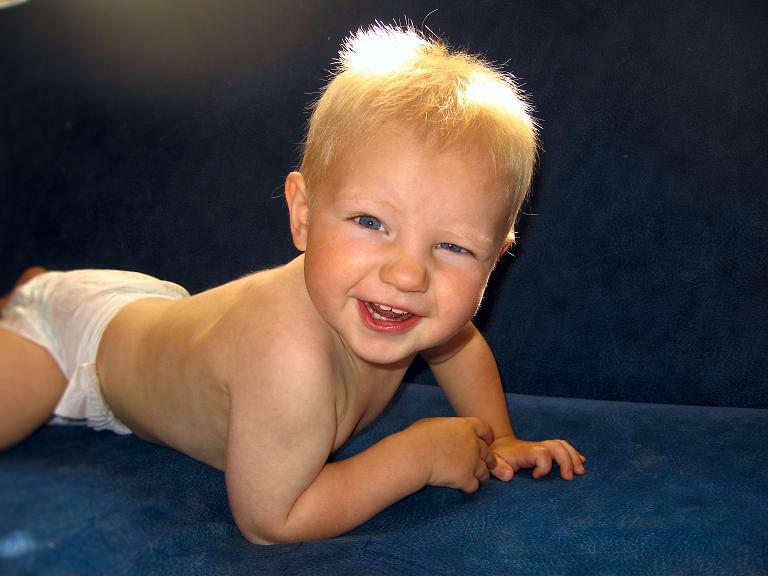 A Few Words on Potty training an unwilling toddler. When we decided to get rid of his diapers, Toddler boy was the first to say, ” I don’t wanna go potty!” Making us think that he would not be ready for potty training for quite some time. So we kind of tip-toed around the idea, giving him stickers here, maybe an m&m there, but the potty training just didn’t seem to be successful because he was simply unwilling. Then, as his third birthday rolled around, we decided it would be best for the stimulation of his mind to enroll him into preschool. And it started in two weeks! Problem was, he had to be potty trained! There was no more playing around. We didn’t even entertain the idea of pull-up diapers, training pants, or whatever. As a friend and preschool teacher advised, the best way to do it, was just to take off the diaper, and train him cold-turkey-style. There was no more buying diapers for us (Especially because Baby Girl had started on her cloth diaper adventure). So that’s what we did. We took his diaper completely off, and put little boy underwear with his favorite characters on him. And I kid you not, within a couple of days, Toddler Boy was potty trained. Sure, there were accidents in his pants, multiple car seat cover washings, etc. But it was the quickest, best way to do it if you ask me. And after they are potty trained you wont have to hold on to that diaper pail anymore. We didn’t even have to use a sticker chart, candy rewards, cheerios, or whatever you want to call it. We just used good old-fashioned praise, hugs and kisses when he went in the potty – both number one AND two. Even at night his accidents in the bed seemed to stop within a week. The trick is to cut out excessive juice and milk drinking, because that’s what he would drink over and over again because he would crave the taste and sugar (Even when he was in his diapers, he had leaks in the bed at night because he drank so much juice and milk). Therefore, I’ve completely cut out juice drinking, and limited milk drinking to only at Breakfast, and directly after dinner. The rest of the day if he’s thirsty, he gets water, and even that is limited after bath time. That way, he has time to process, digest, and dispose of any liquid before falling asleep. So, you want to potty train your toddler? Here’s a review of what worked for us. Made sure that we had a potty that Toddler Boy felt comfortable with in size (He’s a little guy). Said good bye to the diaper, and did not use pull-up diaper products. Kept him home as much as possible so the accidents weren’t that big of a deal, and I could simply toss his clothes in the laundry, or even let him run around naked throughout the day to make it easier on him. If we did go out, I brought 2-3 changes of clothes, plenty of wipes, and paper towels. Praised him like crazy any time he pooped and peed in the potty by himself. Paid extra attention to any signs or language telling me that he had to go. Had him wear fleece diaper covers and diaper liners (As suggested by author of All About Cloth) at night just in case, and bought a mattress cover as a precaution. Cut out as much liquid intake as possible after dinner. Ta da! He was potty trained within a week! At times it can seem like kids are programmed to automatically hate fruits and veggies, and love things like candy and cookies. But there’s ways for you to change that. Here’s 10 easy tips for kid friendly recipes with fruits and vegetables. And trust me, they actually work. Take it from the mommy of a toddler that usually craves cookies and candy. I’ve been able to follow the tips below to get him to demand the good stuff instead! Get rid of the junk – Seems like a no-brainer, but it’s actually harder for moms to do. It’s easy for us to buy things like cookies and potato chips if that’s what we crave. If you stop buying junk food and start buying things like craisins, apples, and mini carrots, your kids will have no choice but to eat them. And for moms-to-be, if you stop having the junk food around now, your kids won’t be introduced to it, therefore won’t crave it. But if you really have a sweet tooth like me, just hide your stash away from tiny prying hands! Add cheese – This used to be a technique of mine before I started to suspect that my toddler was lactose intolerant. I would top broccoli with lots of Parmesan cheese and mix it. He would see me mix it, and would end up eating pieces of the broccoli to get to the cheese. Veggies First – Don’t present them a plate with the chicken fingers and side vegetables next to them. Serve them a small plate of veggies first, that way they think that’s their meal, and they’ll eat it rather than going for the chicken first and then demanding more chicken rather than eating their vegetables. Peanut Butter and Caramel Galore –Serve things like celery, carrots, apples with a side of natural peanut butter or hydrogenated-free caramel. Show them how to dip the vegetables and then bit off the dipped part. They’ll love it. Special Sauce – Make some steamed vegetables, and then pure’ them into a food processor. Add your favorite spaghetti sauce, and mix that all together. Use that as your spaghetti sauce, and your kids will never know the difference! Apple Crisp – My husband sneaks apples into my toddler by baking them into an apple crisp. The Food Network’s web site is full of great recipes. Smoothies – My toddler and now even my baby girl love love love smoothies. I have a couple great recipes in one of my blog entries. And the great thing is, you’ll love them too! Local Farmer’s Market – My local farmer’s market has fruit and veggie picking events from their own fields. Call your local market to see if they’ll let you do that. That way, your child makes an activity out of it. They’ll pick their own fruit and be proud of it, so it’ll be fun for them to eat it, too. For the Love of Ice Cream – Your kids love ice cream, but you don’t like the fat in them or in yours, so you could visit Oak Lawn’s Best fitness and wellness clinic in Dallas. A healthier alternative to it is making gelato. Here’s some great recipes. And it is absolutely delicious. Layer it up – My toddler loves yogurt. I let him watch while I layer strawberries and berries with his favorite yogurt. I put the fruit on top, so he has to dig through it to get to the yogurt I even got a yogurt machine from Village-Bakery.com to prepare it everyday. Using a clear glass helps too, because your child can see through it and it’s kind of a cool visual for them to see what their spoon is doing as they mix things up. Sneak veggies into a frittata – Beat some eggs in a bowl – about two eggs per person. Then, in an oven-safe non-stick pan, fry up some veggies – broccoli, onions, mushrooms, spinach, etc. Once the veggies are done, pour the eggs onto the frying pan on top of the veggies. Put it in the oven at 350 for about 10 mins. Once it’s done and out of the over, sprinkle on some cheddar cheese. Voila, you have a delicious frittata, and if your kids like eggs and cheese, they’ll never notice the difference!